FeastHome – The kitchen is no doubt the life of the party in any home. For that reason, it is important that homeowners adopt measures that will ensure they improve the images of their kitchens. So, how can this be achieved? Uplifting the face of your kitchen requires you to consider undertaking a decorating exercise. There are many ways to decorate your home and each decorative method promises to introduce a unique effect in your kitchen. Some of these methods will require you to make total changes while others will simply require you to use decorative accessories. The type of decoration you adopt for your kitchen will largely be determined by your tastes and preferences. In addition, your personality will also influence your decisions on the type of decoration to settle for. 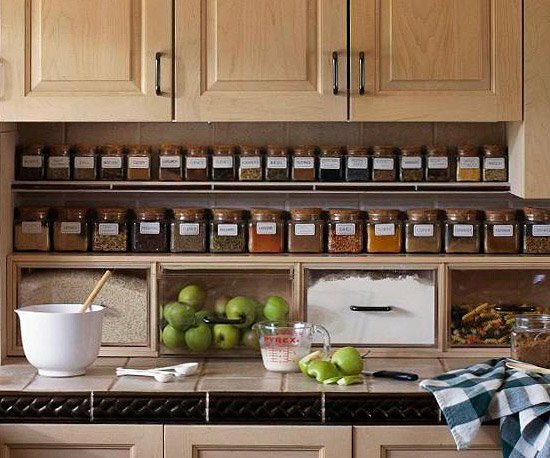 On that note, here are decorative methods that will work magic in your kitchen. Adding a fresh coat of paint in your kitchen will have a huge effect on the general outlook of your kitchen as it will brighten the atmosphere in the kitchen. More to that, you can also decide to fully change the colours in your kitchen but this will largely be determined by your budget. When conducting a paint job in your kitchen, there are several factors that you will need to put into consideration. Firstly, ensure that you choose your colour wisely. Considering that you are looking for long-term results, it is important that you settle for bright colours that will bring out your personality. Moreover, the colour you settle for should be of high quality to ensure the effect does not fade away easily. To achieve better results with the painting job, you should consider using multiple colours. Using multiple colours will help create an interesting visual effect. However, ensure that you choose colours that synchronize well with each other. The floor is that one part of the kitchen that is highly underestimated. Nonetheless, this part of the kitchen can have a huge impact on the face of the kitchen. If you have decided to perform a complete makeover on your kitchen, you can should consider working on the floor and adopt a theme that will suit your kitchen decor needs. On the other hand, if you are on a budget, you can conduct simple renovations and you will still achieve good results. 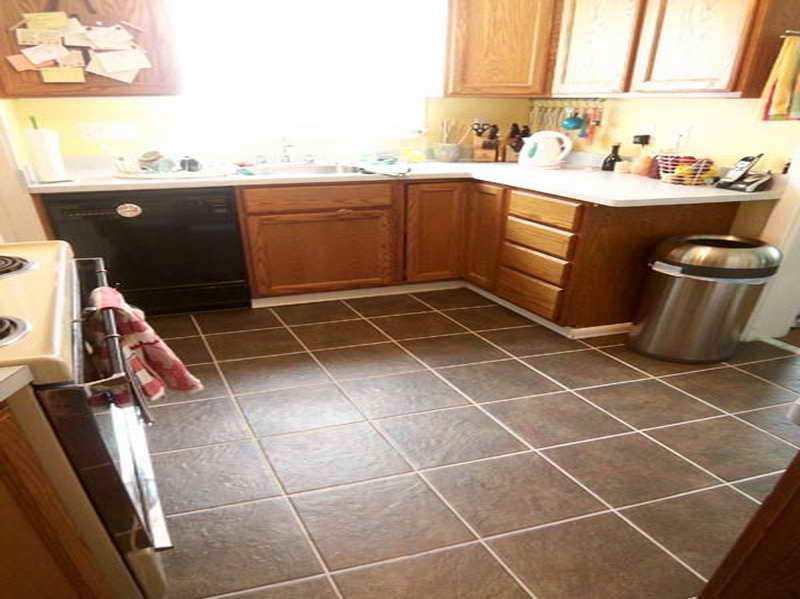 To change your kitchen floor, you should consider the material of use and the painting as well. Ensure that you only settle for durable material that will weather the conditions it is subjected to in the kitchen. Additionally, settle for paint that will survive oil spills. The best paint for your kitchen floor is marine paint which is similar to the one applied on floors of boats to help withstand the effects of salty water. Kitchen accessories are also a great way to decorate your kitchen courtesy of the simplistic effect they introduce. There are numerous accessories to choose from hence you should only settle for those that enable you to meet your requirements. Among the accessories you can never go wrong with include: curtains, kitchen plants, kitchen appliances and lights. Curtains do not only provide a solution for securing your window but also, they add a unique touch of beauty to the kitchen. To achieve the best effect with curtains, ensure that you choose curtains that bear unique patterns and designs. Kitchen plants on the other hand will add life to your kitchen and you can rest assured that they will not be destroyed by kitchen conditions such as smoke. More to that, kitchen appliances act as great decorative accessories courtesy of their varying designs, sizes and colours. Kitchen lights will also come in handy in adding beauty to your home. There are different types of lights to choose from thus you are assured of finding a source of light that will meet your decor requirements. 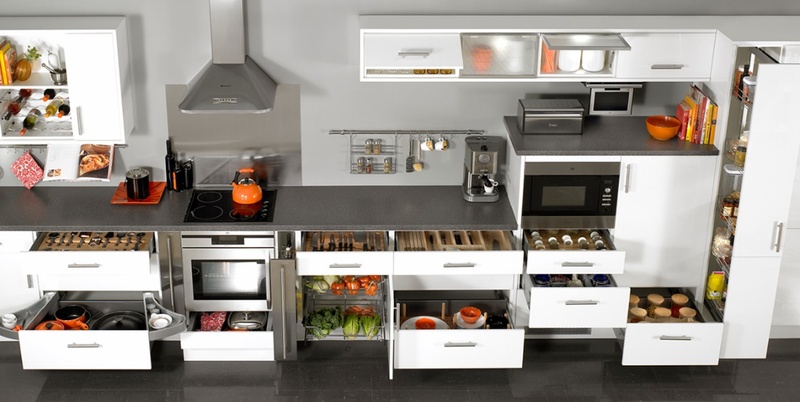 Storage space is an important factor in decorating your kitchen as it helps avoid clutter. Besides that, storage space can be designed with the aim of enhancing beauty. For instance, building open shelves provides an opportunity for you to acquire more space and at the same time adopt storage arrangements that are appealing. In addition, you can also have your wine racks in-built and they can be built in a way that they form a pattern of choice. 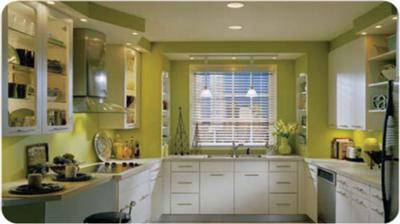 To make the additional space more appealing, be sure to apply quality paint that syncs well with the rest of the room. The kitchen is the part in your home where you spend a lot of time and there is no better way to show appreciation for this room than by decorating it. With the numerous tips and styles of decoration, arriving at the ideal image for your kitchen should not be difficult. Ensure that you undertake decorative ideas that are unique and match your personality. That said, if you are looking for sure ways to change the outlook of your kitchen for a great home ownership experience, be sure to apply the proper decorative tips. The results you attain will simply be mind boggling!